Olive oil graft typical of the regions of Terres de l’Ebre organoleptic properties pleasant on the palate with sweet flavor without bitterness or itching with remaining almonds and fruit. This oil is recommended to combine both salads and gazpacho as pulp, ie raw. Although this is the perfect ingredient for soups, stews and meats. Ideal for those dishes where you want to enhance their flavor. 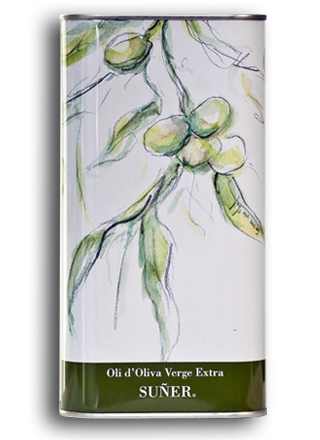 Dark green glossy foliage and fruit and offering a black hue, this provides a great olive production, more than Arbequina. Empeltre name comes from the word “graft.” This is one of the most historic trees in our country and can reach up to very large, despite their low stem, which makes its propagation by grafting has been done, hence the name. The process used in the production of our oils is qualified to be a careful process to the smallest detail in all phases and our mill has certification Catalan Council of Ecological Agricultural Production (CCPA). 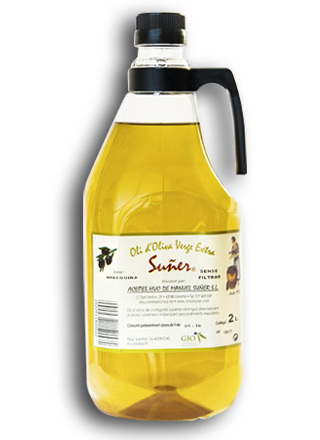 A Wine and Oils Suner continually working to offer the best products to our consumers. 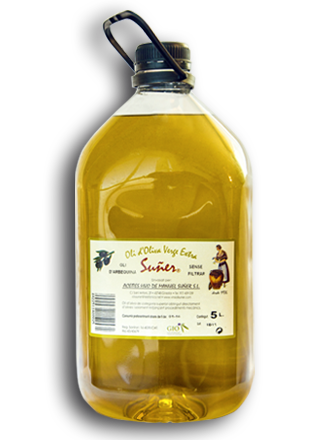 An olive oil typical for the Terres de l’Ebre region, with organoleptic properties that are pleasant on the palate, a sweet taste without bitterness or spiciness and an aftertaste of almonds and fruits. Recommended use: goes well with salads, gazpachos, soups, meat and stews. Enhances the taste of many different dishes.